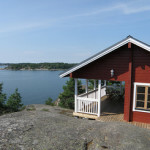 The two cottages are identical, only the location is different; the Sauna cottage is situated on the western side of the island close to the Seaside Sauna, the Island cottage is on the eastern side closer to the Villa. 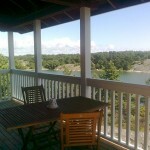 Both cottages can be rented out individually or with the Villa. 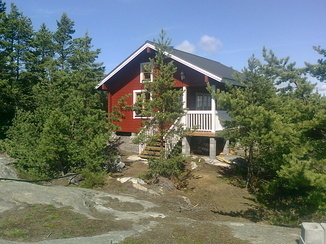 The cottages are new timber cottages 25m2 accomodating 2/4. 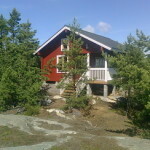 They have living room/hut with kitchenette, separate bedroom and sleeping loft. There is sleeping places for two in the bedroom (additional mattress can be fitted in as well), and for another two on the loft. There is electricity and TV. 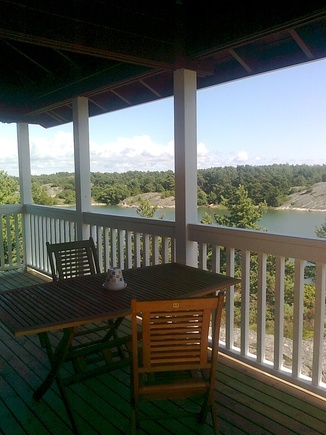 Water is carried in for the kitchen, there is a heat storing fireplace and dining table for 4. 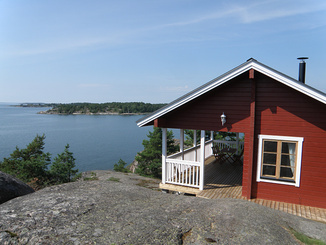 These cottages have no washrooms, but shorter daily sauna times at the Seaside Sauna, and one longer weekly sauna time are included in the rental.